When Dealing With A True Narcissist, Plenty Of Their Behaviors And Habits, Schemes And Fetishes Might Shock You. Their controlling and manipulative natures, their constant need to be the center of attention, their assertions of power and dominance. 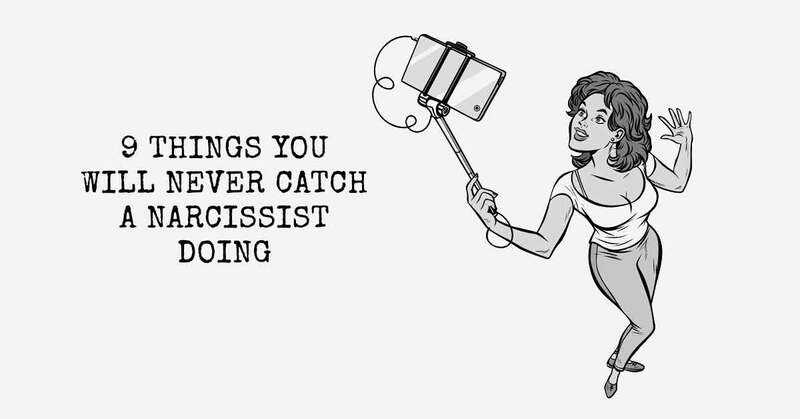 Unfortunately, there are also a handful of things narcissists will never do…and they’re the things we all wish they would be able to do, somehow. The notion of change to a person who thinks they are already perfection is completely foreign, so don’t expect any changes from any narcissists in your life. Until the narcissist has found a sufficient replacement for you -be it a doormat “friend” or an attractive partner- they won’t let you go. They’ll continue to predate upon you as though they have some right to do so until they find another person to prey upon…and then, you’ll be kicked to the curb swiftly and easily. This isn’t going to happen for a number of reasons, the first and obviously most influential being that the narcissist never thinks they’re wrong. And being of obvious moral superiority to you, the narcissist sees no point in making peace with you, negotiating with you, trying to see things from your perspective…they would often prefer a scorched-earth scenario if they think they’ll come out on top, to a reasonable negotiation. Quite the opposite actually: this person will always expect you to make peace with them. The narcissist wasn’t hurt by his actions, words, or feelings, he has no need to apologize for them. He only did what he did in response to someone else, after all. Never waste time waiting for a narcissist’s apology. A narcissist is an utter liar. She only sticks to one brand of truth-her own- and even when facts and paper trails are brought up against her she merely ignores them, because there is only one version of the story that is true: her version. I have a friend whose foster daughter is a master at one upmanship. It doesn’t have to be important -in fact it rarely is- but she routinely points out that her hair is longer or redder than yours, or that she has bigger or bluer eyes, or whatever. It absolutely cracks me up…because she’s fifteen years old, and still figuring out her way in the world. Narcissists, on the other hand, are fully-grown adults who never got the memo that one-upmanship pretty much stops looking attractive in your teenage years and starts seeming like a seriously immature behavior. But they must do it, because otherwise how do they make themselves feel better about themselves, aside from humiliating someone else? Narcissists lose the prize for empathy every time. It’s not even really that they don’t care about you; it goes further than that. They don’t care about ANYONE’s emotions or the emotional fallout anyone else feels due to their behaviors. Most people are the opposite. Narcissists want to be in relationships but only so they can control and manipulate others, not so they can establish loving and mutually affectionate bonds with others. Once the games have spun out, so does the narcissist. Narcissists routinely use projection, emotional hot-potato, stonewalling and various other psychologically infuriating character traits to avoid owning their own emotions. This is never going to change. For your sake and the sake of your sanity, get out of this relationship as quickly as possible.